Tired of syrupy talk about the royal wedding? Here’s a corrective from some earlier royal nuptials. In 1816 British journalist William Cobbett (the same Cobbett who provided advice on settling in New York in 1820) wrote a scathing article about the impending marriage of Princess Charlotte of Wales – granddaughter of England’s King George III – to Prince Leopold of Saxe-Coburg-Saalfeld. It’s a bracing antidote for anyone suffering from royal wedding overdose. 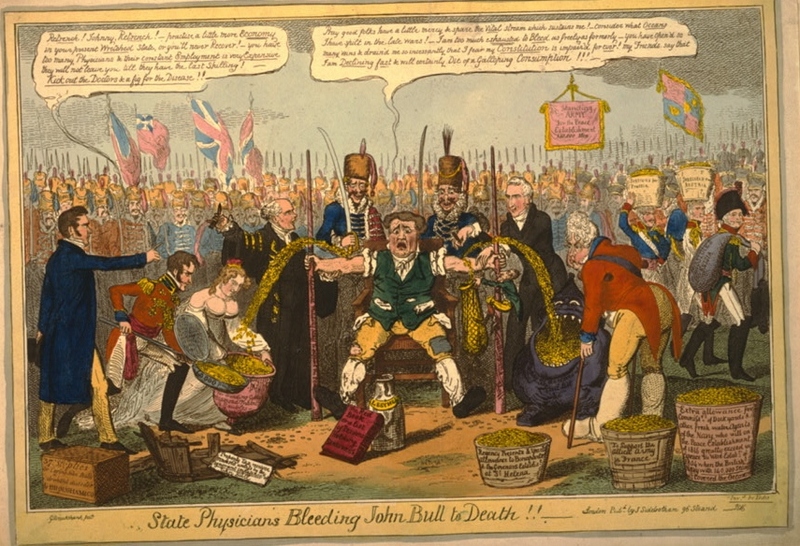 State Physicians Bleeding John Bull to Death. Caricature by George Cruikshank satirizing the 1816 royal wedding of Princess Charlotte of Wales and Prince Leopold of Saxe-Coburg-Saalfeld. Chancellor of the Exchequer Vansittart and Foreign Minister Castlereagh bleed coins from John Bull, which are collected by Prince Leopold, Princess Charlotte and the Prince Regent. Princess Charlotte was born on January 7, 1796. She was the only child of George III’s oldest son and heir to the throne, George, Prince of Wales. In 1811 he became the Prince Regent and, in 1820, King George IV. 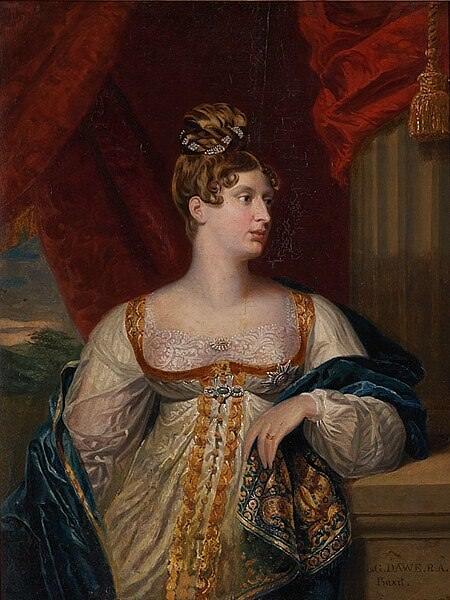 Charlotte’s mother was George’s German cousin, Princess Caroline of Brunswick, whom George had reluctantly married only for the purpose of clearing his debts and producing a child. They separated shortly after Charlotte was born. Charlotte was raised primarily by governesses. Since Charlotte was in line to inherit the throne after her father, serious attention was given to the question of her marriage. The Prince Regent wanted his daughter to marry William, Hereditary Prince of Orange, but Caroline was opposed to the match and Charlotte didn’t want to have to move to the Netherlands. In 1815, she fixed her heart on the impoverished Prince Leopold. Born on December 16, 1790, Leopold was a member of the ruling family of the small German duchy of Saxe-Coburg-Saalfeld. After French troops occupied the duchy during the Napoleonic Wars, Leopold joined the Imperial Russian army as a leader of cuirassiers, or heavy cavalry. He fought against Napoleon’s troops at Lutzen, Bautzen, Kulm and Leipzig, particularly distinguishing himself at the Battle of Kulm in 1813. By 1815, he had reached the rank of lieutenant general. The Prince Regent eventually gave in to his daughter’s wishes. 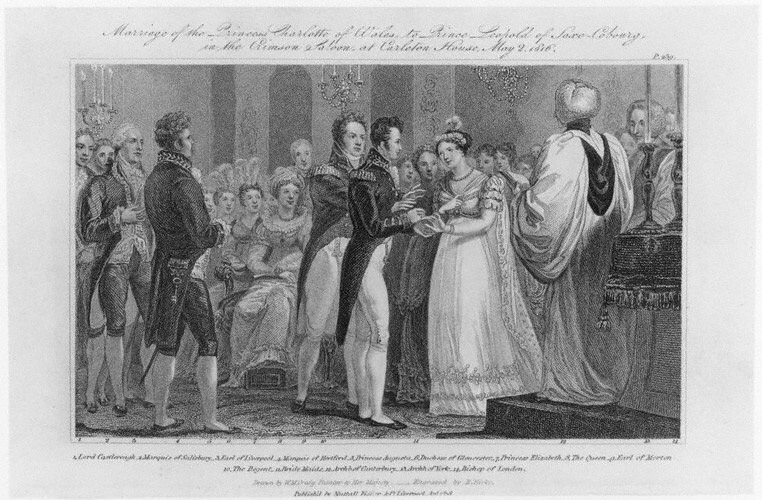 On March 14, 1816, Britain’s foreign secretary, Lord Castlereagh, announced the royal engagement to the House of Commons. William Cobbett, no fan of the royal family (he called the Prince Regent “a great, fat, unwieldy being”), took issue in the form of an article published on June 22, 1816 in the American edition of his newspaper, Cobbett’s Weekly Political Register. [W]here could even…the hard, unprincipled, never-blushing Castlereagh, have found the brass to talk of the glorious manner in which the Prince Regent governed the country…. I much question, whether the man knows anything at all about his daughter’s being about to be married. However, even this eulogium on the Prince’s intellects was not so impudent as the assertion that Englishmen owe the enjoyment of their liberties to this family. Just as if our liberties had been, or could have been, or ever can be, owing, in any degree, to a set of beggarly Germans being put upon the throne, and kept there by a band of Boroughmongers as mere tools in their hands! The next day…a proposition was made to give the young couple 60,000£ a year, and 60,000£ for an ‘outfit,’ and to settle 50,000£ a year upon the husband, in case he should outlive his wife! This is about eleven times as much as you give your President! And, indeed, we give to all our Royal brood about two hundred times as much as you give to a Chief, who has more brains in his skull than forty such broods, and who does a thousand times as much business. Such are the blessings of Royalty…. How this Prince of Saxe-Coburg must be surprised to find himself tumbling into such cheer, after being brought up upon his father’s estate, and which is, perhaps, little better than mine…. I dare say there are a hundred packs of hounds in England, each of which have finer and more extensive dwellings, and more servants to attend them, than has the Sire of this ‘illustrious personage.’ How the man must stare about him when he finds himself in possession of an income of 60,000 pounds a year! He must, if he has any sense himself, surely think us a mad people….. If the intended husband be a man of sense and spirit, he will soon find that his situation is not so very enviable, in spite of his 60,000£ a year; for, though he may like a fat and rather ugly wife, he will hardly be able to endure with patience the sneers of the nobility and their sons, who will regard him as nothing in England, each of which have finer and more than a mere state-hireling; a poor, mean fellow, who has consented to let himself out for the sake of a good living. He is, too, of a race so very obscure; but, perhaps, it made part of the plan to select a person that the world never heard of before, and to whom a good purse was of such vast importance. Charlotte and Leopold were married on May 2, 1816 at Carlton House, the Prince Regent’s London residence. The newlyweds moved into Claremont House, in Surrey, where they led a quiet, happy life until Charlotte died on November 6, 1817, hours after giving birth to a stillborn son. She was 21 years old. Leopold, who had become a British citizen before the marriage, remained in England for many years. 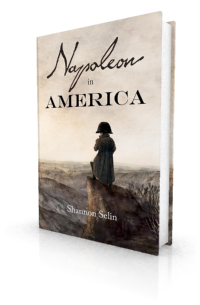 It is at one of Prince Leopold’s soirees that Lord Liverpool and the Duke of Wellington learn of Napoleon’s (fictional) escape from St. Helena in my novel Napoleon in America. 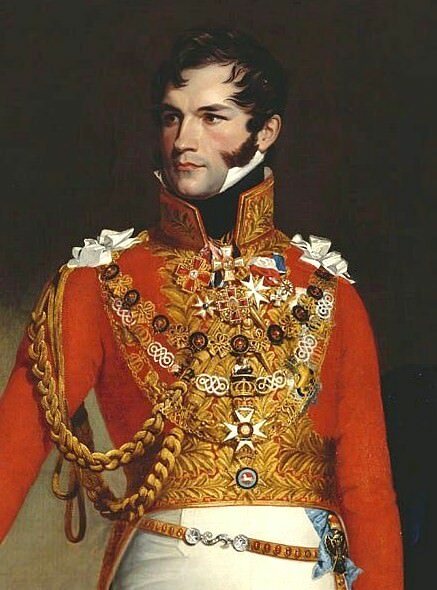 In 1831, Leopold accepted the crown of the newly established Kingdom of Belgium. In 1832, he married Louise of Orléans, daughter of French King Louis Philippe. They had four children, three of whom lived to adulthood. Leopold died on December 10, 1865. In 1837, Charlotte’s cousin Victoria – born 18 months after Charlotte’s death – inherited the throne that would have gone to Charlotte had she lived. In 1840, Queen Victoria married Leopold’s nephew, Prince Albert of Saxe-Coburg and Gotha. Cobbett’s American Political Register, Vol. 30 (New York, January to June, 1816), pp. 318-320. Henry Brougham, The Life and Times of Henry Lord Brougham, Vol. II (Edinburgh and London, 1871), p. 332. Did Prince Leopold indeed receive his pension aftet the death of Princess Charlotte ? If so, until when ? After Charlotte’s death, Prince Leopold received his British annuity of £50,000 per year. In July 1831, before leaving the country, he advised the British government that, as sovereign of Belgium, “it is not my intention to draw from this country any portion of the income which was settled upon me by Act of Parliament, at the period of my marriage. Your Lordship is, however, well aware, that, up to the very moment of my leaving England, I have maintained my establishments here upon their accustomed footing and that, consequently, there remain to be fulfilled and discharged pecuniary engagements, and outstanding debts, to an amount which it is quite impossible for me to state at the present time with precision. As soon, therefore, as I shall have accomplished the payment of these demands, it is my intention to make over into the hands of trustees, whom I will, without loss of time, appoint, the whole of the annuity which I receive from this country, in trust, for the following purposes:— I shall require my trustees to maintain, in a state of complete habitation and of repair, the house, gardens, and park, at Claremont: and further, to pay all the salaries, pensions, and allowances, which I shall deem a proper reward to those persons who have claims upon me for their faithful services, during my residence in this country. I shall, in addition, require them to continue ail those charities, and annual donations to charitable institutions, which have been allowed, or subscribed to, either by the Princess Charlotte or by myself, up to the present period. All these objects having been fulfilled, it is my wish and desire, that the remainder shall be repaid into the British Exchequer.” I am not sure what year those payments actually ceased. It appears that at least some portion of the annuity was still being paid in 1834, when it was the subject of a debate in the House of Commons (see Hansard, February 11, 1834). The funny thing is that Leopold’s grand daughter, Clémentine married the Prince Victor Napoléon. Her father was against this marriage so they waited his death: Clémentine was 38 years old and Victor 40! By this marriage, Jean-Christophe, the actual Prince Napoléon is a Bonaparte and an Orleans from his father, and a Bourbon by his mother (his mother is a Bourbon-Siciles)! Interesting! I didn’t know that. Thanks, Marie-Noëlle. Though he may like a fat and rather ugly wife, he will hardly be able to endure with patience the sneers of the nobility and their sons, who will regard him as nothing in England.